An extraordinary everyman, Sid Roberson was the ultimate paradox. Sir Alan Parker pays tribute to his friend - art director, photographer, director, bodybuilder and many things besides - who died in December aged 79. On 22 December last year, my good friend, film director Sid Roberson, died. 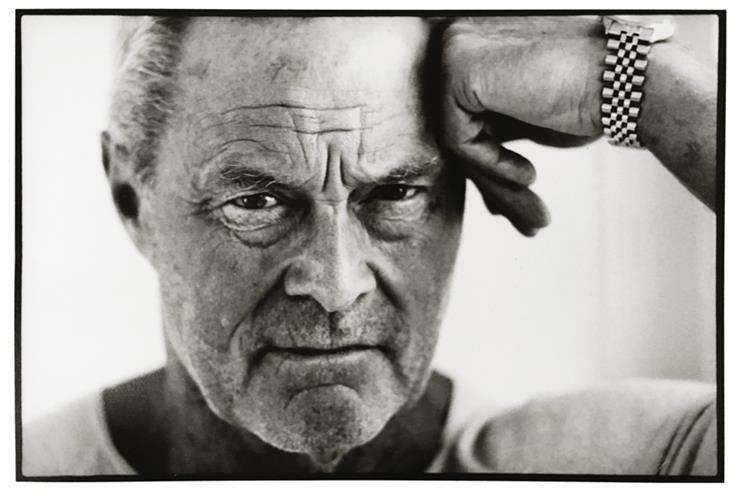 For four decades, he was a seminal figure in the British advertising world: first, as an agency art director, then reinventing himself as a photographer and then as a director. Sid was the ultimate paradox: the original Champagne socialist – a Marxist who took his kids to school on a black Harley and brought them home in a convertible Mercedes. He was an intellectual bodybuilder: a vain yuppie and self-deprecating everyman, and one of the most popular figures in the British advertising world. "He knew everyone on every corner: every adman, waiter, stall-trader, side-door madam"
Born in Edmonton, London, in 1937, he was the middle son of a family of seven children. After attending Enfield Grammar, Sid was called up for national service in the medical corps in Cyprus, where he worked mostly on his tan. In 1961, newly married to his first wife, Brenda, Sid left for a life in the US, where he worked with minimal success in advertising. However, he had greater success in the world of bodybuilding. Sid became a regular at New York gyms and, bizarrely, even claimed third place in the 1963 Mr Universe competition. Returning to England, he worked as an advertising typographer and later as an art director. Lord Puttnam recalls: "Sid was a first-class art director and immensely helpful to me when I started my business. I think that was always Sid’s instinct: to be kind and helpful." He then transformed himself into photographer and then commercials director. His handsome looks also got him a part in the iconic Strongbow cider commercials directed by Sir Ridley Scott, where he played a muscular, charioteer warrior. Scott said: "He was a friend and I cast him because of his physique and macho personality. 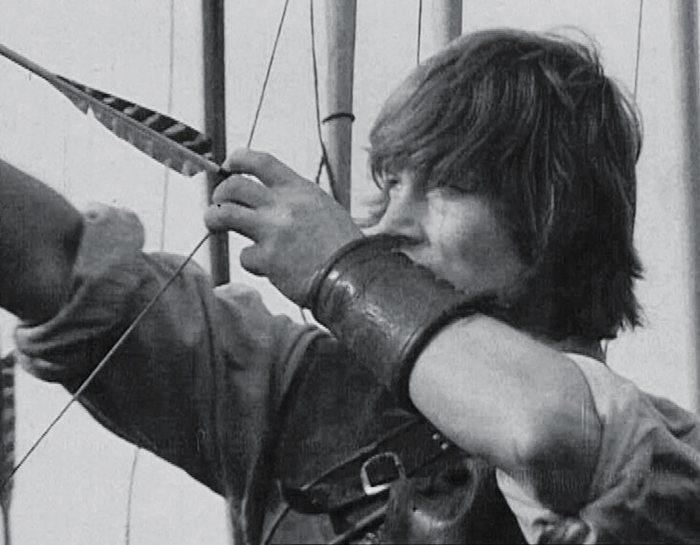 It turned out that he was scared of horses, couldn’t shoot a bow and arrow and got tipsy drinking half a glass of cider." Sid’s friends included the luminaries of the past four decades of British advertising. Scott, Charles Saatchi, Sir Frank Lowe, Sir John Hegarty, David Abbott, Ross Cramer, Paul Weiland, Dave Trott and so many more. And it’s fair to say that, at some point, he fell out with every one of them. Myself included. When it came to political argument, Sid took no prisoners. Lowe said: "You’d have dinner with Sid and go in thinking you had left-leaning views and, after an evening battered by Sid, you’d leave thinking you were a right-wing conservative." "Sid has the funniest reel in town and there’s not a single commercial on it"
The only person Sid never fell out with was his brother and best friend, wine merchant Cliff Roberson. The two middle sons of a large family, they were carved from the same block of no-nonsense granite and their extraordinary bond was unbreakable. A list of his elite friends would have been an embarrassment to him and a contradiction of his egalitarian beliefs. But if you walked through Soho with Sid, it would take twice as long as normal because he knew everyone, on every corner: every adman, waiter, stall-trader and side-door madam. Forever the paradox, while enormously articulate, no sentence left Sid’s mouth without the accompaniment of the crudest of expletives. I remember in 1969, over lunch in Soho, Sid tried to persuade me to reluctantly leave copywriting and direct commercials. "If a (blank) (blank) like me can do it, then a clever (blank) like you can certainly do it," he said. His commercials production company, if not the most successful, was certainly the most fun. Film technicians would change their bookings for a chance to work on Sid’s sets. His anarchic wit and photographer’s eye led to many award-winning commercials. His showreel contained films for anti-apartheid and anti-smoking among the Pot Noodles. He also made party political broadcasts for the Labour Party. During these years, he lived life to the full and the excesses of the times eventually bankrupted his and many other TV commercials companies. Sid blamed the ruthless capitalist bankers, but his own profligacy was also partly culpable. He married Suze in 1990, giving him great stability, as did their three children, Charlie, Florence and Nat. A devoted father, he was fiercely proud of all of his children, including his first daughter Hannah, endlessly singing their praises. He reinvented himself as a TV director on two series of The Fast Show before rebooting his commercials career. Hegarty said: "Sid has the funniest reel in town and there’s not a single commercial on it." However, his health deteriorated and his mobility was impaired, forcing him to use a stick. After my regular lunches with him, he always insisted on driving me home. I commented on his erratic driving and he said: "My feet are numb, so it’s hard to know if it’s the accelerator or the brake." In ill health, he then embarked on an extraordinary part of his life, enrolling as a mature student at Birkbeck College and achieving a BA and MSc in politics and society. He was enormously proud of his academic success so late in life. My first inkling that he was seriously ill was before Christmas when Arsenal were beaten by Manchester City. For years after such a result, Sid, a fervent Spurs supporter, would always text me one word: "Whoops." There was no "Whoops" that day, and I feared the worst. Eventually, this enormously fit man lost his battle with life as his body, but never his mind, finally failed him. His last words to his son Charlie were: "Stop crying you (blank)." "I first met Sid in 1966 when he and I were at Benton & Bowles. By then, he was regarded as an outstanding art director. He then went on to be a truly talented photographer, following that by being an outstanding commercials director. He made a number of brilliant commercials for Bartle Bogle Hegarty. And then a TV comedy director. The Fast Show is a classic. "I always felt he was too talented at too many things. Which meant he didn’t commit to one. I believe had he done so, he would have made an even greater impact with his creativity. A lesson many young creatives need to learn today."